The e-commerce industry is flourishing and became a $2.3 trillion industry in 2017. However, with so many e-commerce websites out there taking advantage of that growth, there is cut-throat competition. To survive in such a competitive market, you need to come up with new strategies continuously. Only then will you be able to stand out from the crowd and grow. E-commerce, like all other businesses, is all about figuring out exactly what the customer wants and delivering it. Ultimately, it is consumers who are going to buy from you, so it’s important that you figure out who is looking to buy your products and how they want to be sold to. For this, you need to figure out their needs, preferences, behaviors, and demands. This will tell you what they expect from your brand. That leads us to the importance of buyer personas, building these personas can help you narrow down your audience and build strategies. There is a lot you can do using buyer personas to improve your conversion rates, let’s take a look at a few ways you can use them to your advantage. Your marketing content will not necessarily appeal to every single customer. It may not be relevant to them, or you may be using a value proposition that just doesn’t work for them. That’s why it’s important to create buyer personas so you can create messaging that’s personalized for each of them. Once you’ve figured out what a certain buyer persona wants to see, you can start tailoring your content accordingly. You can further tailor the content based on how they behave on your website. You should be focused on discovering these patterns because personalized content is more relevant, and is, therefore, more appealing to consumers. Apple uses buyer personas to their advantage. For example, in the advertisement for the iPad 2, they showed the user checking investments and stocks. This is different from their regular commercials that show people taking photos or listening to music on iTunes. The content of the commercial is specifically directed at professionals. It shows you what a typical professional’s use of an iPad 2 might look like. 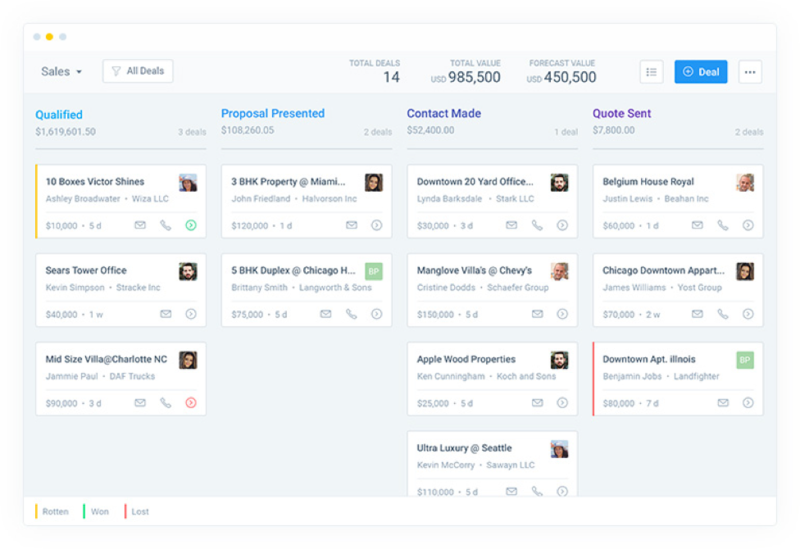 This type of content will be able to draw the attention of those in the target persona since it’s relevant and useful to how they would integrate a product like this into their lives. You can do this by using e-commerce tools and CRM software like Salesmate. Through such software, you can find out what your audience is looking for and analyze their behavior. You can look for trends and patterns to find out their likes and dislikes. This can help you personalize your content to fit each buyer persona. You can further leverage buyer personas to discover people that your target consumers trust. Using this form of social proof can win over the trust of your audience as you aren’t directly promoting your own brand. Rather, someone else is vouching for you. This method of marketing is called influencer marketing. Influencers are people who have a huge fan following on social media and high engagement with their followers. Your task is to identify these influencers that appeal to different buyer personas and collaborate with them. One way of doing this is by checking which influencers your audience already follows. Different buyer personas may be following different influencers, so you should prioritize a few target personas to pursue via this avenue. However, it can be quite a task to reach out to an influencer. Their inboxes overflow with messages every day on social media so it’s easy to get lost in the crowd. Influencer marketing is very effective in setting the mindset of customers. In fact, 70% of YouTube audiences believe that influencers set pop culture trends. Asking influencers to review your product or tell a story around it are two examples of how they can engage with their followers while promoting your brand. They could then add a link to buy your product in their post as a call-to-action. To further incentivize their following you can offer them exclusive coupons, this is also a great way to track your efforts and attribute them to each influencer. BMW collaborated with an influencer, Andre Hamann, to promote their cars in conjunction Coachella. This post was specifically targeted towards a buyer persona of millennials who were interested in Coachella by getting influencers to mention the BMW’s they were using to get to the festival. In the end, everything comes down to creating a good experience for your customers. There is no better judge of your website than your customers themselves. Based off their personas, you can optimize your website by using them as a research tool to help you enhance their browsing and shopping experiences by putting yourself in the shoes of your customers. Going off of their activity, exploring behavior, pain points, and usage goals, you can design an improved user experience that fits their preferences. For instance, Societe enhanced their user experience through the use of buyer personas. They first created the personas by interviewing people from their target audience and then created user journeys to learn about the experience users had while navigating their website. Based on these personas and user journeys, they started to design the website to enhance user experience. As most of their target audience used mobile devices, they started developing the mobile layout first and made the design sophisticated and unique according to the persona’s tastes. The young users found browsing images too time-consuming, which led to creating carousels so that product photos could be seen easily. You need to understand that not everyone is looking for the same products on your website. Different buyer personas will be interested in different things, so sending out the same communications to everyone doesn’t make sense. You need to segment your customers into personas and then based on which they fall into, you can tailor your communications to fit that segments needs. If you send content that is more relevant to their interests, they will be more interested and engaged. This can especially help when you’re sending out emails about upcoming deals and offers. If you send relevant offers in your emails, people may find it more compelling to click through. For instance, Zillow uses this strategy well when sending out their emails. 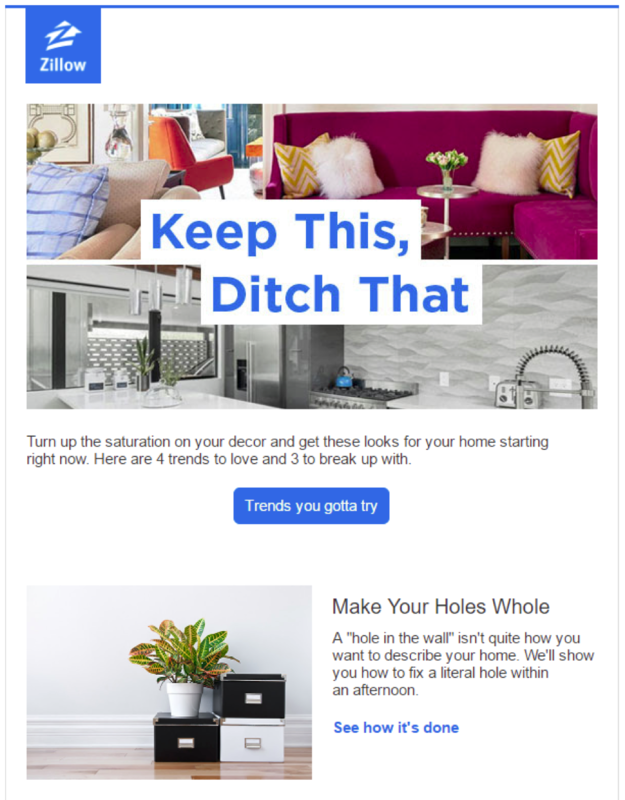 In their Zillow Digs campaign, they sent out emails that were targeting a specific persona, aimed at those who have an eye for design and were in a low-income bracket. They sent these emails on a weekly basis allowing them to capture the interest of this particular persona with ease. To ensure that your customers are satisfied, you should make sure that your customer service is top-notch. Based on your buyer personas, you can tailor your customer service and improve customer loyalty and satisfaction. This is important because not every customer may need the same level or type of assistance. While first-time visitors may require some guidance or recommendations on their first-time purchase, repeat visitors may need customer support for something they already bought. Or perhaps they might even need help purchasing a refill or a complementary product. It can be a great idea to introduce a live chat option on your website and social media. This allows customers to have their concerns and questions addressed immediately. Additionally, it also adds a human touch to the customer support you provide, even when your customer service reps are not available. Live chat not only increases customer satisfaction but also helps generate sales. A Smart Insights study suggested that conversions increase eight times when a website has live chat. First-time shoppers can use live chat to guide them to purchase. And repeat visitors can either get customer support or discover products that complement the ones they’ve already bought. The same study found that 38% of visitors made a purchase after they got help through live chat and that 63% of visitors became repeat visitors due to the very same reason. This shows how important customer service is for any e-commerce business when helping customers move through the buying journey. Many e-commerce brands use buyer personas to get high-quality leads for their businesses. You need to learn more about your target audience, build different personas, and offer each one exactly what they want to see thus facilitating a good shopping experience. 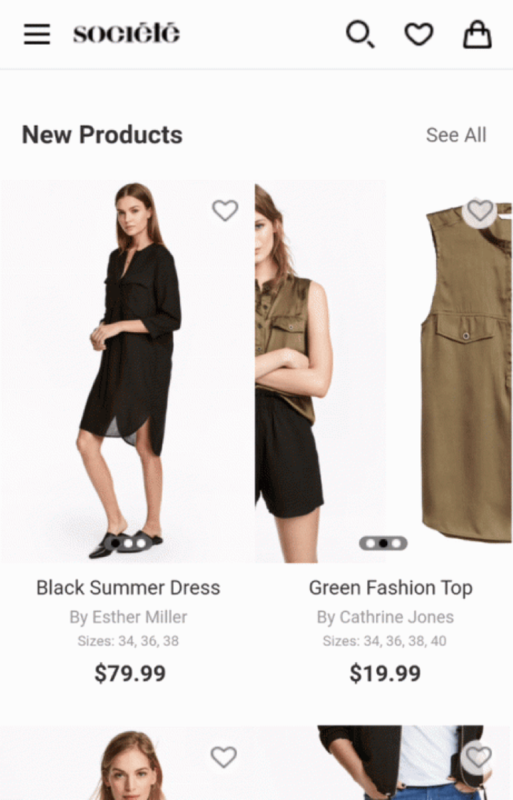 You can also partner with influencers to further drive shoppers decision process and connect with customer segments in a meaningful way. Tailoring your marketing efforts to appeal to different buyer personas and you’ll get more ROI on your efforts. Personalization is key to a successful e-commerce business today and utilizing buyer personas is a great way to create personally relevant, compelling campaigns.